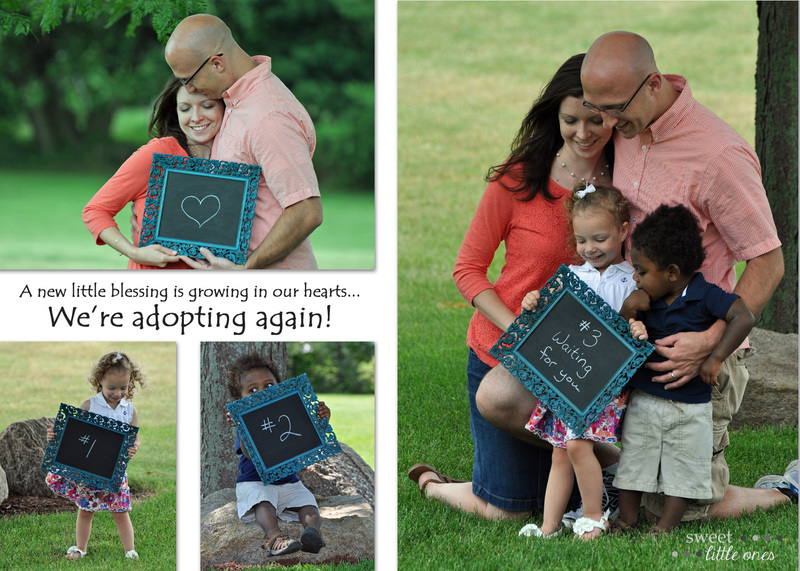 Sweet Little Ones: Adoption Update: Let the Wait Begin! Our homestudy has been completed! We are "active" again! Over the past several weeks, we have had to attend a day long class about adoption, fill out hours worth of paperwork, put together writings and pictures about every aspect of our lives for the profile that the birthmother uses to choose her family, and do everything from being fingerprinted to getting physicals to having our home inspected by the agency. (Whew, I'm out of breath just writing all of this!) And although that took a lot of time and required a lot of running around, it actually was the easiest part of the process. Now that we're back on the "list", all that is left to do is...wait. There’s nothing else to do. And that is hard, let me tell you. Because for me, waiting equals worrying since everything that happens during this time of waiting is completely out of my control. So while we wait, will you please join us in something that we can do? And that would be to pray. As we look forward to a new little one to join our family, we pray for peace, strength, and health for the birthmother (and father), for health for the baby, for guidance for the counselors at the agency, and for peace for our family and to trust in His Plan. But what we pray for the most is what is best for the mother and baby – no matter what – even if that means “what’s best” is not with our family. 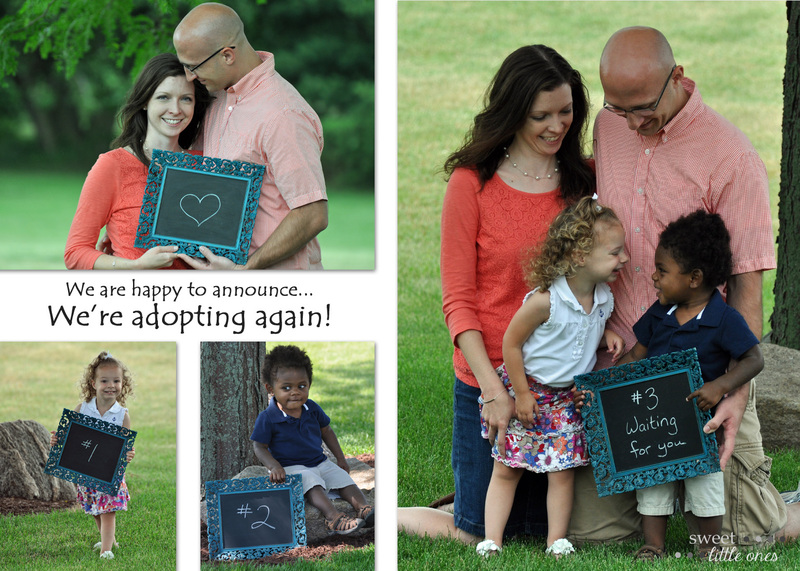 When we had a “fall through” adoption in 2012, that prayer is what helped us get through it. Even though it was extremely difficult and upsetting to lose this baby, we knew that her decision to parent was God’s Plan for her, the baby, and us. God had another little one out there for us - our little Buster. If we had brought home this baby, B wouldn’t be with us. And he was always meant to be in our family. So the most important thing we can do while we wait is to pray and daily give that worry and control over to God (which I'm sure you agree with me that it is definitely easier said than done!). What helps you the most to not worry during periods of waiting? I couldn't decide between the two announcements, so I chose both! Also, I'm guest posting for Emily over at Raising Barnes today while her husband is recovering from knee surgery. (So while you're at it, could you please say a little prayer for her family too?) I've written about a little gem I've learned about adoption lately: how even my adopted children can be my mini-mes. Please go give us some love over at her blog. She has a wonderful blog about motherhood and life that's full of fun and her smiley son Simon! I know you'll love it just as much as I do. Thanks for joining us in prayer and sharing in this journey with us! Five on Friday along with Lauren Elizabeth, Karli, and Amy this week! Join the fun! And a last minute link up for Mommy Moments with Faith and Blogger's Digest with Jessica. This is precious! I pray that you and your family get the child you meant to have. Stopping by from link up. Stopping by from the link-up. God Bless you and your family with your big hearts! Sending you and your family lots of prayers! Adoption is an amazing thing - both my husband and my mom are adopted, and it can give a child more love than ever could have been possible. Your little ones are adorable and clearly loved beyond words! gah! i'm dying over your cute family! CONGRATULATIONS! this is the first time i've seen your blog and i can't wait to follow along! Such exciting news! Congratulations! Your family is darling! Congrats on adopting again! We will keep you in our prayers!